Did Shakespeare's original audiences weep? Equally, while it seems obvious that they must have laughed at plays performed in early modern theatres, can we say anything about what their laughter sounded like, about when it occurred, and about how, culturally, it was interpreted? Related to both of these problems of audience behaviour is that of the stage representation of laughing, and weeping, both actions performed with astonishing frequency in early modern drama. Each action is associated with a complex set of non-verbal noises, gestures, and cultural overtones, and each is linked to audience behaviour through one of the axioms of Renaissance dramatic theory: that weeping and laughter on stage cause, respectively, weeping and laughter in the audience. This book is a study of laughter and weeping in English theatres, broadly defined, from around 1550 until their closure in 1642. 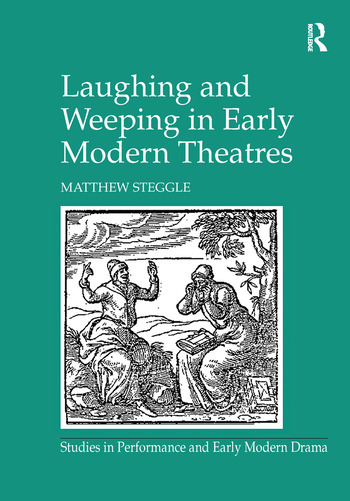 It is concerned both with the representation of these actions on the stage, and with what can be reconstructed about the laughter and weeping of theatrical audiences themselves, arguing that both actions have a peculiar importance in defining the early modern theatrical experience. Contents: Introduction; Renaissance constructions of laughter and weeping; Laughing on stage; Weeping on stage; Audiences laughing; Audiences weeping; Soft smiling? : Lyly and Jonson; Horrid laughter; Shakespeare's theatre of sympathy; Bibliography; Index. Matthew Steggle is Reader in English at Sheffield Hallam University, UK.